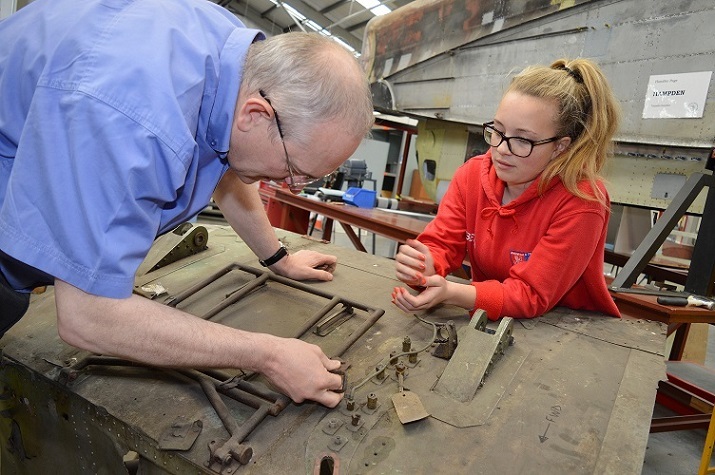 A young student from London is nearing the end of a week’s work experience placement at the Royal Air Force Museum Cosford, working on her Great Grandfather’s aircraft. Beth Halbard, aged 16 has spent the last few days working alongside the museum’s Technicians and Apprentices, helping to restore the wing box section with seat from the Handley Page Hampden P1344. This particular section of the aircraft has close family links and was the seat where her Great Grandfather, George Shepherd, sat on the Hampden’s final flight on 4 September 1942. George Shepherd was a Corporal Engine Fitter on 144 Squadron Royal Air Force and serviced the Hampden currently being restored at the museum. 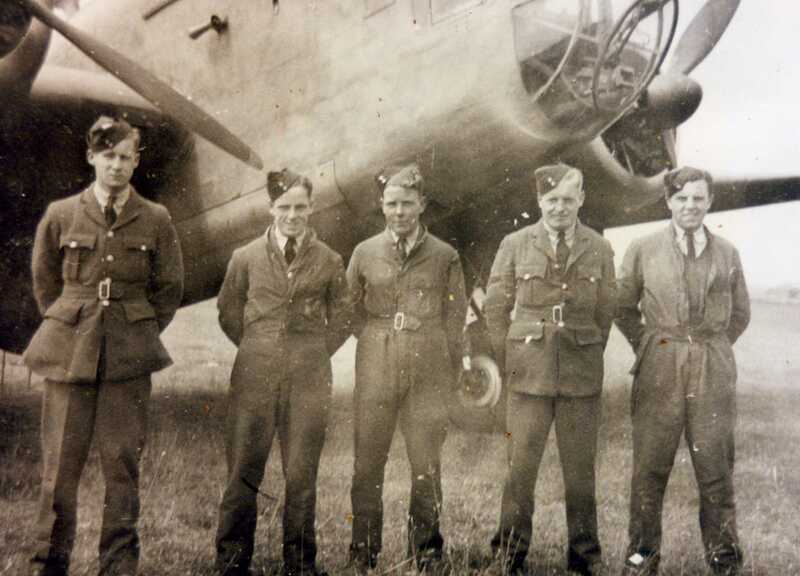 As a Technician, he rarely had the opportunity to fly in the aircraft he serviced, but the lack of Ground Crew in Russia meant there was a need for each aircraft to carry a technician as fifth crew member. George ended up flying on his aircraft, P1344, which turned out to be the aircraft’s final flight. Hampden’s were required to provide aerial protection for Arctic Convoy’s and to meet this demand, 16 aircraft from 144 Sqn and 16 from 455 Sqn RAF flew out to Vaenga, northern Russia. After departing from Sumburgh, Shetland Islands on the evening of 4 September 1942, the museum’s Hampden example, with George aboard, suffered with icing problems and diverted slightly north to find lower ground, avoiding the mountains. This action took the aircraft directly above a Luftwaffe base at Petsamo in northern Norway and was subsequently hit by ground fire from anti-aircraft battery, followed by attacks from two Messerschmitt 109 fighters who helped bring it down. This air battle resulted in Flight Sergeant Miller and Sergeant’s Robertson and Garrity’s loss of life, and whilst Pilot Officer Perry and George both survived the crash landing; Perry was badly injured. George covered him in cloth to help keep him warm before going on the run for over 30 hours, eventually being captured. He spent the rest of the war in Stalag Luft V111b and was involved in the long marches, where he walked over 500 miles in 52 days in temperatures as low as -20 degrees Celsius. Eventually liberated by the US Army, George returned to the UK and was demobed at RAF Cosford, just a stone’s throw away from the museum where his aircraft now lives. 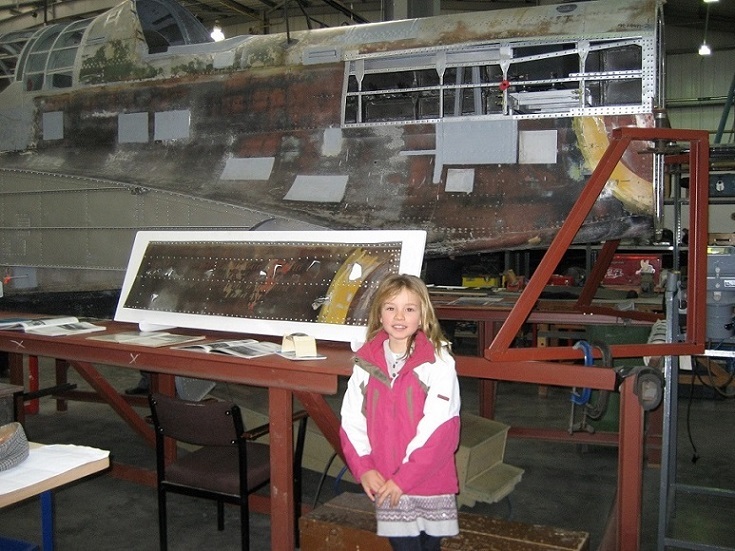 Six decades later, Beth visited the RAF Museum Cosford with her parents and Great Grandfather to view the Hampden. She was studying the Second World War at school and George surprised the whole family when he wrote notes to help with her project, detailing what happened during his flight in the Hampden back in 1942, something he had kept from the family for over 60 years. 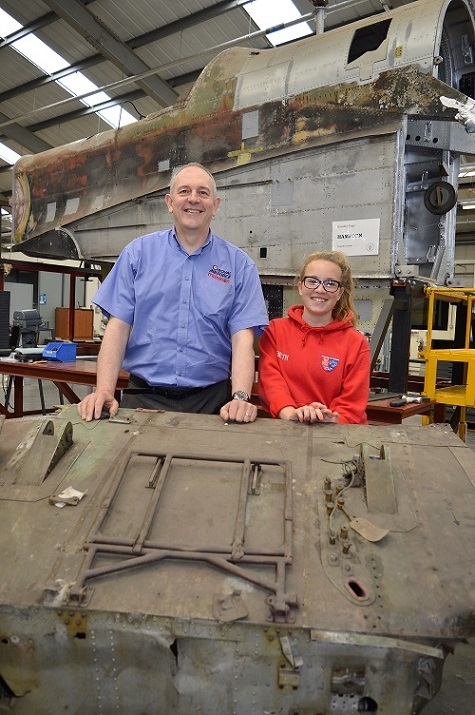 Almost a decade after first viewing the Hampden and with an interest in aviation and engine mechanics, Beth was on the lookout for a hands-on, engineering work placement and the RAF Museum Cosford was her number one choice. Beth has now spent five days in the museum’s Conservation Centre, temporarily part of the team, helping to restore the aircraft to its former glory. 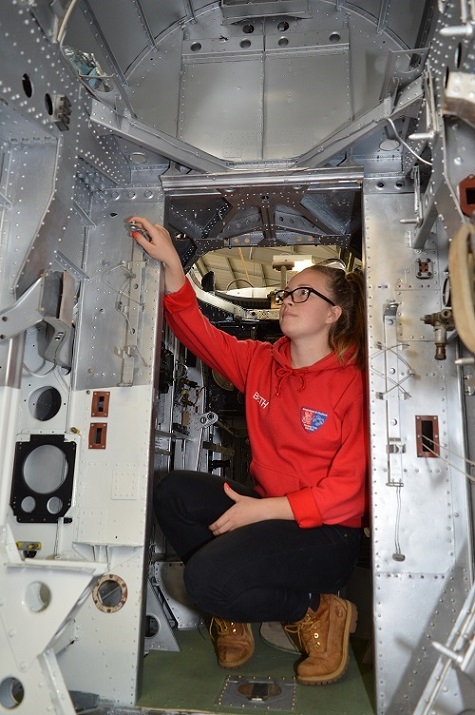 Beth has been put to work in a variety of roles during her placement, including helping with aircraft moves, the removal of aircraft wheels from the Catalina as well as bench work learning how to work with various metals. The Hampden is one of the museum’s longest running conservation projects, which has progressed considerably over the last year. As one of only three examples of the type remaining, the significance of this project is huge and is being led by one of the museum’s skilled Aircraft Technicians. This work includes manufacturing a forward fuselage (above the lower longeron) hand built and where possible, incorporating existing fixtures and fittings from the original cockpit. Another major component manufactured on site has been the aircraft’s tailplane which now has an operational flying control system (elevator and rudder) and the surfaces have been covered in Irish Linen and sprayed into Bomber Command green/brown camouflage pattern. The rear fuselage external structure is close to being finished with just a few small tasks to be completed on the bomb bay sidewalls. Internally, the wooden floor is being fitted; once installed this will allow for further rebuilds to be progressed. 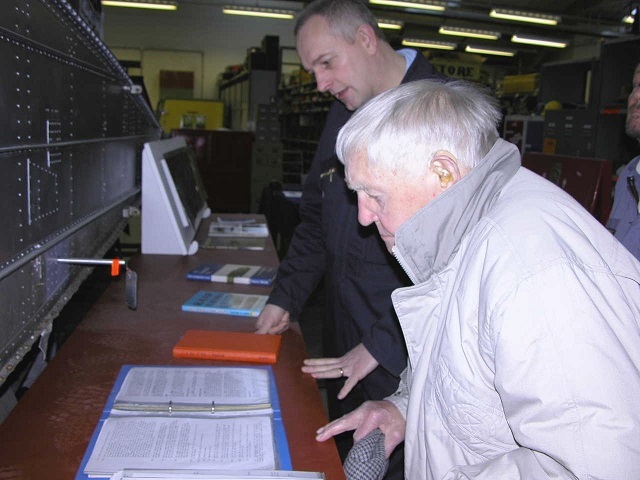 From 9-14 November visitors will be able to get up close to all of the current conservation projects undertaken by the team at Cosford, which include the Wellington bomber, Dornier Do 17 and the Range Safety Launch. For more details on the open week CLICK HERE.